Camps Gulf Cave is located in Fall Creek Falls State Park in Van Buren County Tennessee. 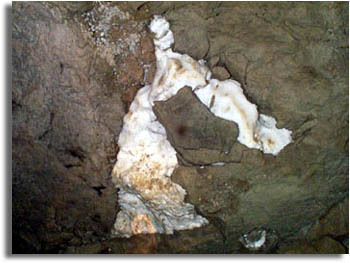 Access is prohibited to much of the cave from September 1st through March 31st to protect the hibernating bats. The entrance to Camps Gulf Cave is located at the base of a 120 foot tall bluff and actually has two entrances both of which are partially hidden by a large berm of dirt and rocks. 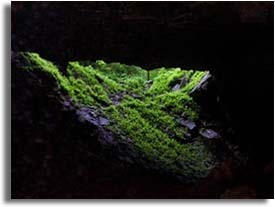 Camp's Gulf Cave is one of Tennessee's longest caves with almost 7 miles of known passage ways. Also located in this area are at least 3 more caves. The most visited of these is Camp's Gulf #2 which is 1/2 mile further up the hollow on the opposite side valley. Latitude - N 35° 44'56"
Longitude - W 085° 22'42"